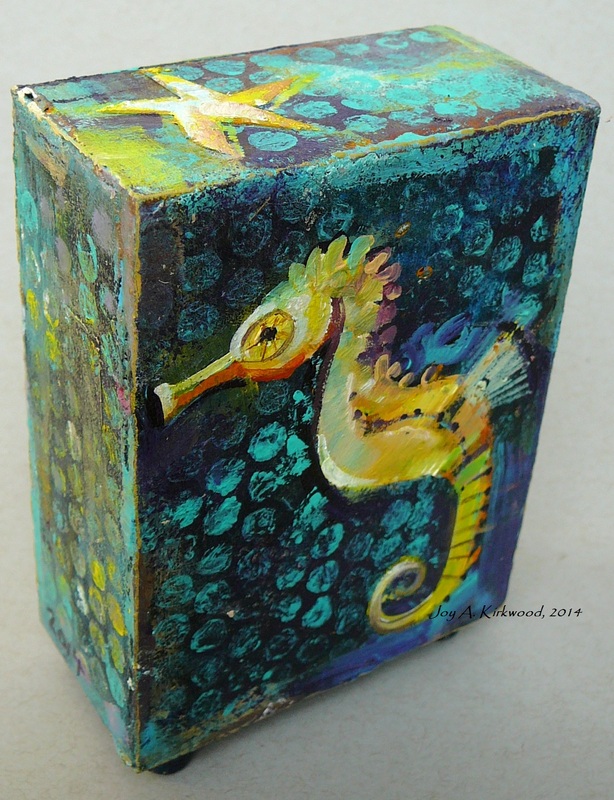 Been updating one of my wee seahorse boxes today. 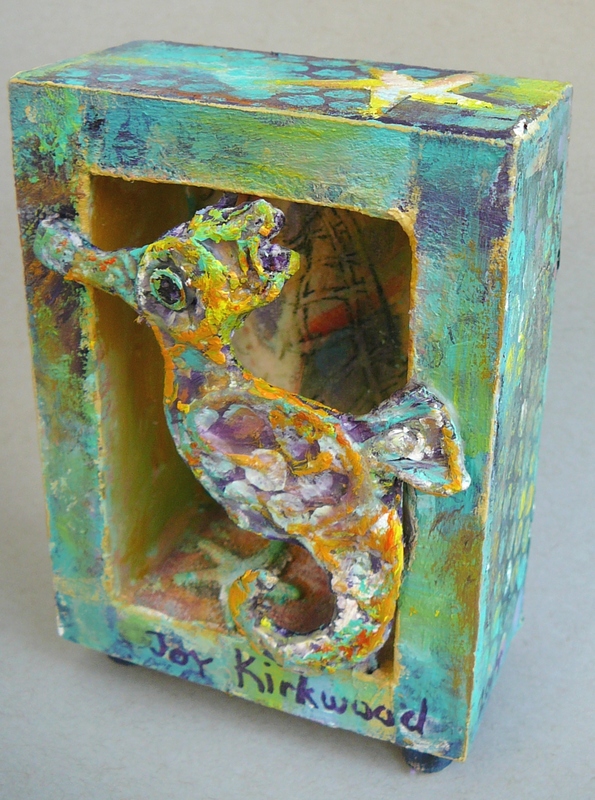 Front, top, and sides are painted and the back is a sculptural seahorse across the open box which has a starfish charm and the drawing of a seahorse inside. 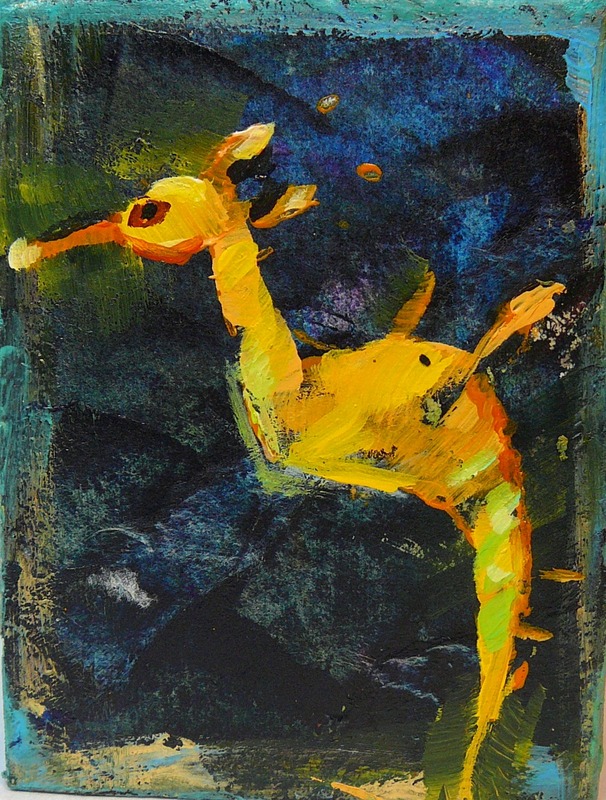 4″ X 3″ X 1.5″. 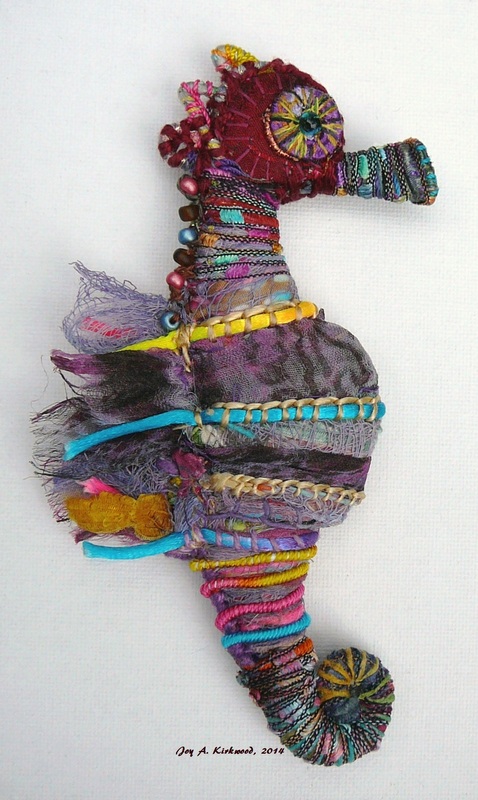 Finished the first seahorse of 2014 but not sure yet what is the best way to display it. Meanwhile here are two pictures of the art piece from both sides. No name yet but I am pondering. Burgundy is the working name while I think about it. 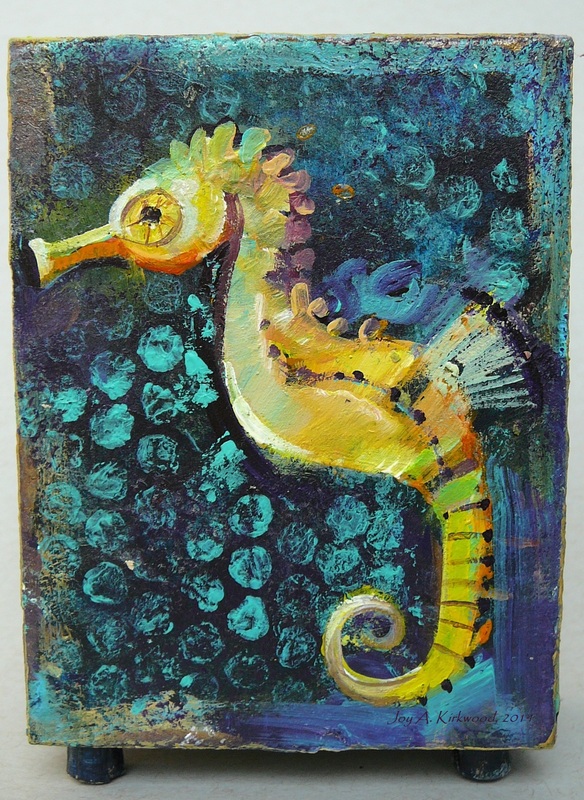 As much as I enjoy creating seahorses the type of art work I make follows the direction of my teaching and right now the ongoing and upcoming classes include: papier mâché for teens and adults, drawing to watercolour, and creating and drawing dragonflies. 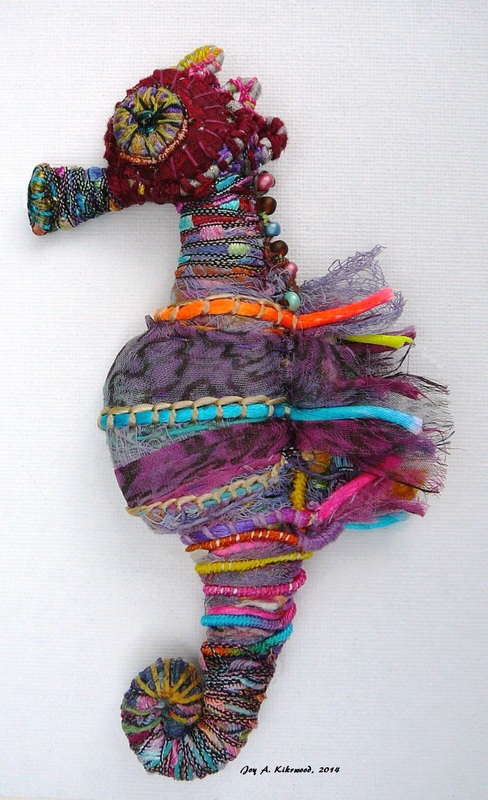 The seahorses seem to have become the ‘in-between’ art making I go to when I’m not teaching art classes.